Membrane systems are finding increasing application worldwide in the purification of potable and industrial water, and their design and use is set to grow considerably in years to come. This comprehensive book is written in a practical style with emphasis on process description, key unit operations, plant equipment description, equipment installation, safety and maintenance, process control, plant start-up, operation and troubleshooting. It is supplemented by case studies and useful engineering rules-of-thumb. 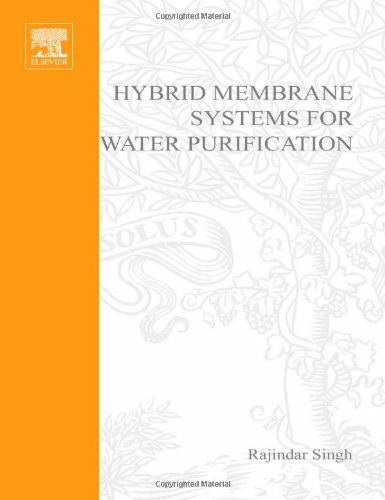 The author is a chemical engineer with many years experience in the field and his technical knowledge and practical know-how in the water purification industry are summarised succinctly in this volume. Rajindar Singh is President of Membrane Ventures, LLC. He is a Senior Member of the American Institute of Chemical Engineers, with more than 35 years of experience focusing on desalination, bioseparations, ion exchange, high purity water production, produced water treatment, membrane plants technical support, electrochemical fuel cells and polymers. Rajindar received post-graduate degrees in chemical engineering and bioengineering from the Univeristy of Massachusetts, Amherst, USA. He is the co-inventor of six patents, and has published 40 journal papers and three books.